Even though we don't believe in market timing, we do believe in outperforming the market — and that's exactly what our strategies have been doing for a long time. 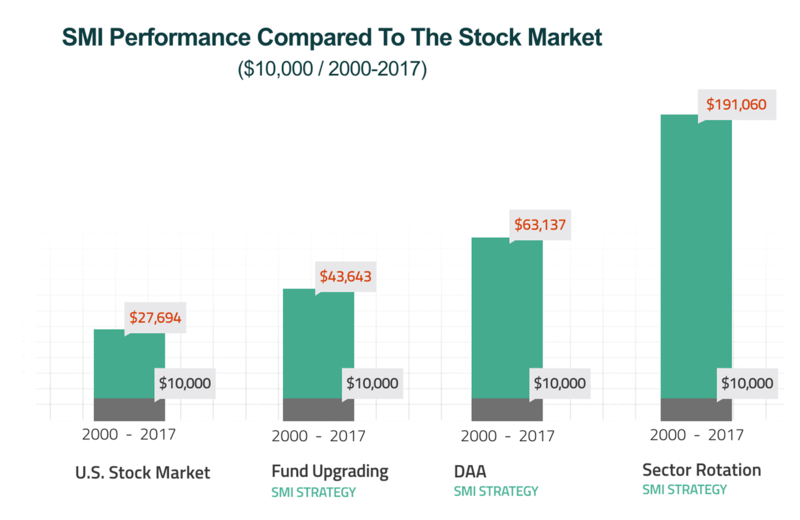 Our most popular "core" portfolio strategy, Fund Upgrading, generated an average annual return of 9.0% during the 15 years from 2002 to 2016 vs. the overall market's performance of 7.3%* (by "core," we mean a strategy is appropriate for your entire portfolio). Sector Rotation, one of our most popular optional "add-on" strategies (designed for use with just a portion of your portfolio), hasn't just beaten the market; it has trounced it, generating an average annual return of 15.3% from 2002 to 2016. And our strategies have generated these returns without any attempt to predict what the market will do next! Get useful tips and valuable resources delivered directly to your email.